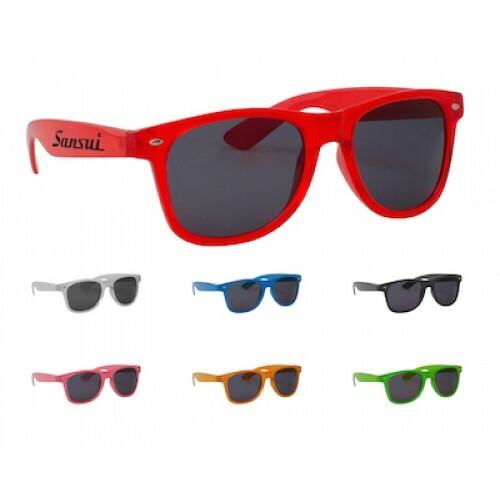 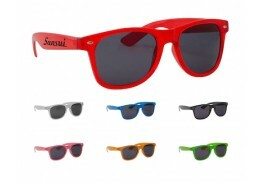 Our Translucent Miami custom sunglasses are a sleek and stylish addition to any campaign! Available in 7 fashion colors, these hard frame sunglasses make a memorable giveaway with your company logo featured on the temples.The ultraviolet lenses have UV400 lenses to provide 100% UVA and UVB protection from the sun. 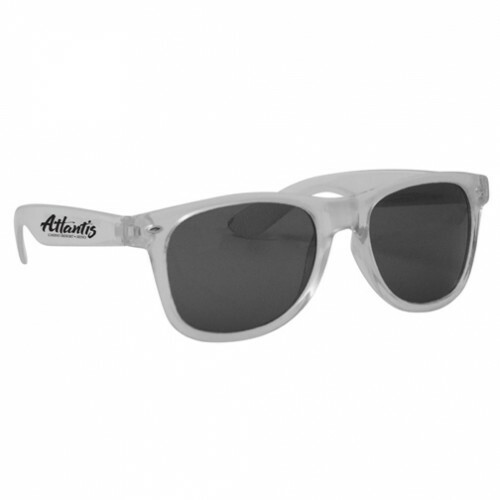 Please Note: A Black imprint is recommended on the Translucent Frost sunglasses, while a White imprint is recommended for all other colors.